The Barber Program at Victoria’s Academy provides the hands-on training, real-world experience and support it takes to pursue a successful career. 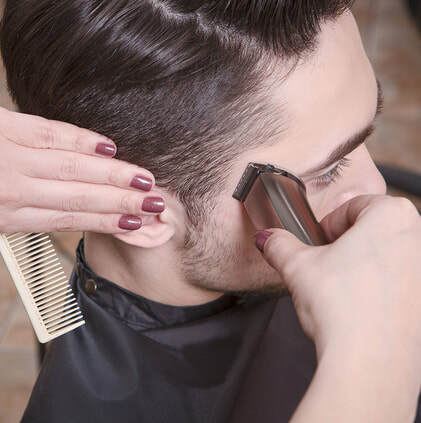 As a student in this program, you’ll develop into a confident barber professional, able to strike a balance between classic practices and the hottest trends. This curriculum is based on the Milady’s Standard Barbering curriculum. The enrollment application fee is required for all programs, to be paid when application for enrollment is submitted, even if applying for financial aid. Enrollment will not be considered until application fee has been paid. This fee is non-refundable and good for enrollment for one year. Each program offered by Victoria’s Academy requires the purchase of a “Student Kit”. The kit includes all equipment, books, supplies and materials that will be needed during training. Victoria’s Academy offers a payment procedure to spread the cost of tuition out over the duration of each program. This procedure is explained in detail on the Tuition and Kit Fees page. The Barber Program starts the first Wednesday of Every Odd Month, January, March, May, July, September, and November.